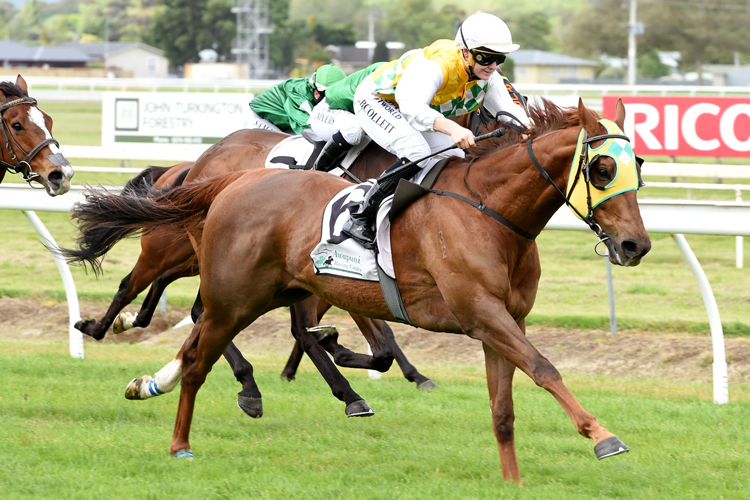 Awapuni galloper Shadows Cast is being set to defend his title in the Gr.2 Coupland’s Bakeries Mile (1600m) at Riccarton later this month and will have a final hit-out in the Courtesy Ford Red Craze Bowl (1400m) on his home track on Saturday. The Mark Oulaghan-trained runner won the race last year before going on to dead-heat with Son of Maher in the Coupland’s Bakeries Mile and his trainer has elected to take the same path this year with the six-year-old who he believes is in similar form. “I think he’s pretty much on a par to last year, he’s pretty similar,” Oulaghan said. “It’s more or less a conditioning race for Christchurch, but having said that we would like him to show something reasonably good. I want him to show he is up to going to Christchurch. That last-start was in the Gr.1 Windsor Park Plate (1600m) on September 22 where he finished towards the tail of the field in the Hastings mile. “It was a little bit disappointing, because I think if he had of had a decent run it would have been interesting to see where he ended up,” he said. Shadows Cast trialed at Otaki earlier this week and Oulaghan said he was pleased with that run heading into Saturday.